After Exchange mailbox moves you can’t send mails from the mailboxes that has been moved to the new server. You have moved all the mailboxes to the new server but can’t send any outgoing mails. To resolve this make sure that the new server has been added to the ‘source’ server tab on the new servers send connector. A lot of times when you are busy doing a mailbox move you will see that the transaction logs can actually grow just as big as the size of the Database. So what can happen is you can run out of space on your database drive and the mailbox move will stop. To work around this issue you can temporarily enable Circular Logging that will keep deleting the transaction logs while the mailbox move in progress. After this please be sure to enable it as the Transaction logs assist in recovery situations. Get Mailbox Sizes Exchange 2010 powershell. I always struggle to find a straight forward command for getting Mailbox sizes in Exchange 2010. Although there is a lot of information out there, they all seem to over complicate things and don’t just give you what you require. This command will get the mailboxes sizes for all Databases beginning with Mailbox Database, Sort them according to size and export to a csv file. Below are the steps for exporting all mailboxes to PST’s. You can’t run the export from a 64bit OS. 1. Find a server/PC with a 32bit OS. 2. Install the Exchange Management Tools (Exchange 2007 SP1 or later) – You can install this from the Exchange Media. 3. Install Outlook 2003 (SP2 or later). This will export all mailboxes to PST’s. It won’t remove any data from the mailboxes, it will just make a copy to the PST’s. If if re-run the export it will merge the mails into the PST’s. Error was found for ‘User’ because: Error occurred in the step: Moving messages. Failed to copy messages to the destination mailbox store with error: MAPI or an inspecified service provider. It is not supported/recommended by MS to decommission a DC that has Exchange installed on it – It links to itself to the DC and might have problems when trying to connect the Exchange to another DC again. As Microsoft recommends keep your Exchange and DC on seperate servers. When you have two exchange servers and they are not routing mail correctly to one another, check the receive connector – If the other Exchange servers IP fall in the range that is specified in the custom internal relay connector with different permissions. Then the Exchange servers won’t be able to route from one to another. 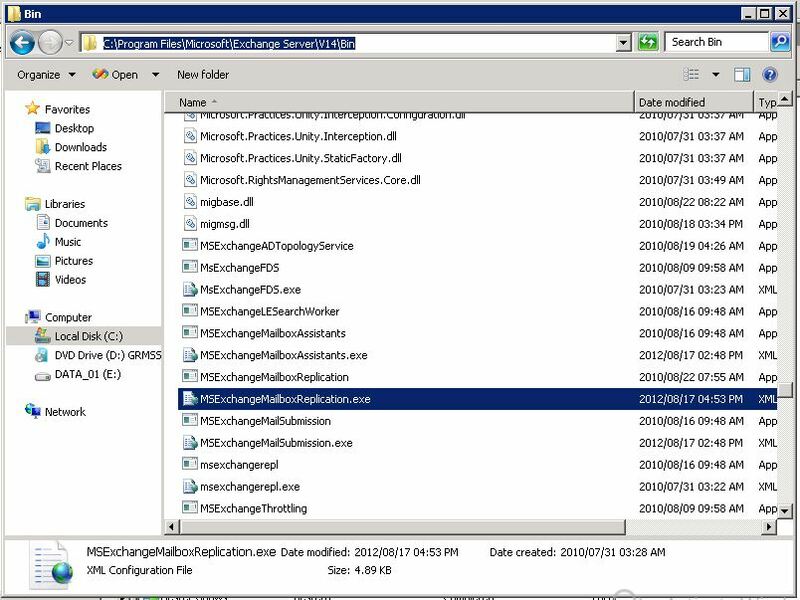 After we followed the Exchange deployment kit for 2007 – 2010 migration – We could not send mails from mailboxes that were moved to the new exchange 2010 server – You need to add the new server to the ‘source’ server tab on the new servers send connector. 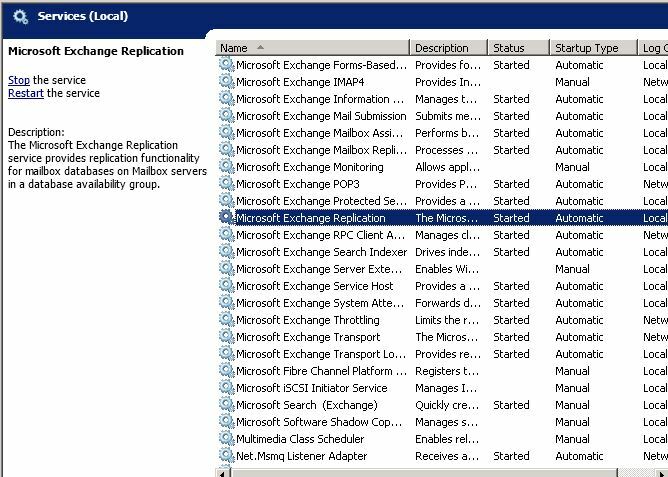 During your migration from Exchange 2007 to Exchange 2010 you have followed our guide to replicate your Public Folders but when checking the Folder are still not replicating. 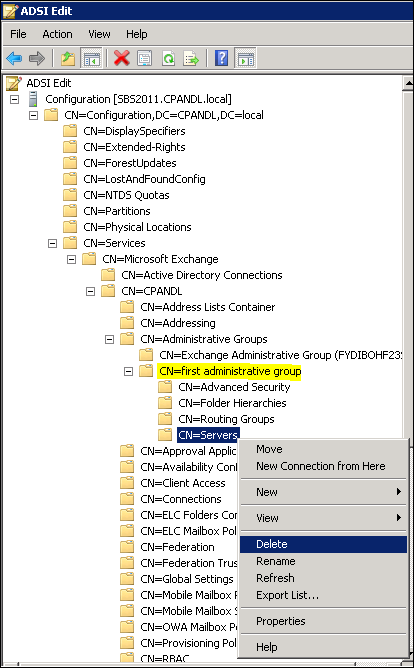 One of the reasons that can cause this is when the 2007 server was originally migrated from Exchange 2003 and an empty “Servers” containers was originally left in the old First Administrative Group. 4. Check to see if the Servers container is empty. If its empty delete the container. 5. Give it some time and use the following command to see if Public Folder replication has started. 6. When this is done you can complete the Public Folder migration using this guide. When migrating from Exchange 2007 to 2010 and you have moved all the mailboxes across. Now comes the time to move the Public Folders. Below is a set by step guide with the required Powershell commands to move your Public Folders. 3. Manually Start the replication process. Replication can days to happen so do it as early as possible. Run the below commands on new and old server to compare the amount of Public Folders and items to know when all Public Folder items have replicated. 5. When the Replication has completed we need to remove the old server from the Replica set. 6. Once this is completed go the the Exchange 2007 server – EMC – Server Configuration – Mailbox. 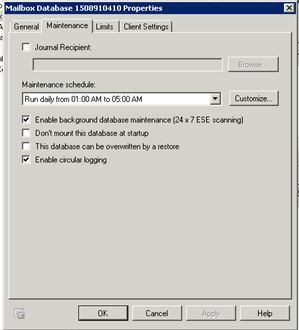 On the properties of your Mailbox Database under client settings change the Default Public Folder Database to the one residing on the Exchange 2010 server. You’ve completed the initial part of the Exchange 2010 migration and have now come to the point were you need to start moving mailboxes. You start to move the mailboxes but they seem to be taking ages to move. If you look under your move request tab you will see that only 2 mailboxes are moving at a time. I think the reason Microsoft limits this to 2 is because Exchange was configured so you can move the mailboxes during business hours with hardly any interference to the users. Like most of us thou we move mailboxes outside of office hours so we would like to speed up the process. Below is the steps to increase how many simultaneous mailboxes can move at any one time. 1. Edit the following file: C:\Program Files\Microsoft\Exchange Server\V14\Bin\MsExchangeMailboxReplication.exe.xml using Notepad. 2. 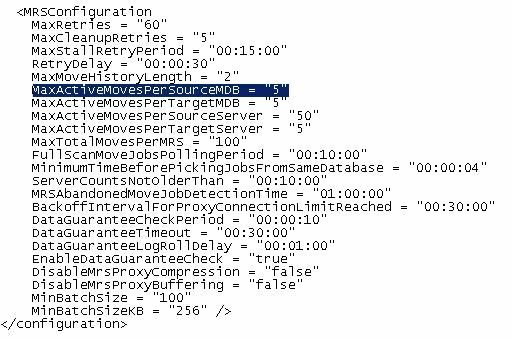 Increase the “MaxActiveMovesPerSourceMDB” from 2 to your desired number. I have found 5 to be a good starting point. Make sure you do this under MRSConfiguration section not the section above it. 3. Restart the Microsoft Exchange Replication Service and restart the Mailbox Move. This should resolve the slow move. I have found that this makes a massive difference from taking 2 days to move a certain amount of mailbox to only 8 hours.